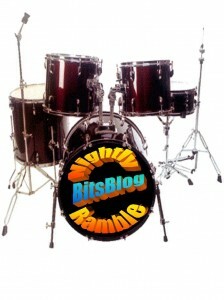 Welcome, one and all to the most intense nightly read anywhere on the ‘sphere… The BigsBlog Nightly Ramble. Spectre Specter: I’ve gotten some interesting feedback from readers on this monring article on Arlen Specter. Also gotten some linnks in for other the take of others on the matter… the most notable of which would be John Hawkins, who wrote a great one on the topic, this monring. I hadn’t heard Mike Smirkonish’s take that he mentions, but I must say I’m a little disappointed. I understand he’s playing to an audience that’s more liberal than some, down there in Philly, Mike, at least in my hearing, has always been one to let logic, not political/broadcasting expediency to rule the day. If that’s no longer the case, perhaps it’s time for a few thousand of us to start talking to WPHT management, hmmm? SO I HEARD SOME GUY ON THE RADIO saying that the Republicans have changed from the Reagan era â€” now they’re a bunch of social conservatives. But back during the Reagan era, I remember hearing that the Republicans were . . . a bunch of social conservatives. And back then they were pushing the abortion-banning Human Life Amendment â€” hard â€” along with a statutory end-run (the Human Life Bill) that simply declared life began at conception. Also school prayer and all sorts of stuff. I’m not actually hearing much along these lines from today’s Republicans, for whom tepid efforts at limiting late-term abortions are a big deal â€” but who are nonetheless stone-age troglodytes on social issues because they’ve got the same position as Barack Obama on gay marriage â€” and I’m wondering where this big shift to the right really is. As I said this morning; both parties have been moving left for decades, now… since Reagan at least. Putting the fire out with gasoline: Jon Henke notes that given the reaction of the left, Specter isn’t going to find much support among Democrats, either. Kinda looks like he’ll be that rare pol that loses in the primaries of both parties. Pig Fizzle, for Shizzle: WHO is now reporting 7 dead from Swine Flu, not hundreds. And while frankly I tend as a rule to take their figures with a grain of salt, they tend to make far more sense than the hype we’re seeing. Meantime, Janet says “Don’t call it Swine Flu.” Gee, Janet, whose sensibilities are you protecting? Not so Clear: Clear Channel is cutting 590 jobs across the CC empire. All of them in Radio. Not too much a shock, actually. Still, that’s a better situation than a number of others in the industry. Yeah, I know… 100 days… Yada, Yada. I’ve already made my comments on the subject, but this one says it well, too. And guess what? For all the hype, the fact is that Obama is very nearly the least popular president for the last 40 years. Add to the ‘Places to Avoid’ list: If you’re thinking of a vacation, forget NOLA. So much for saving the Big Three: I mentioned the other day that GM was going to be half owned by the Union. Guess what? Chrysler, too. You going to take my word on this stuff, yet?